We have decided that we are going to try Breeding Cage and Lexi . If all goes well this will be Cage's last litter. Planned for June 2019 ! These are Ronan and Storm Puppies below. 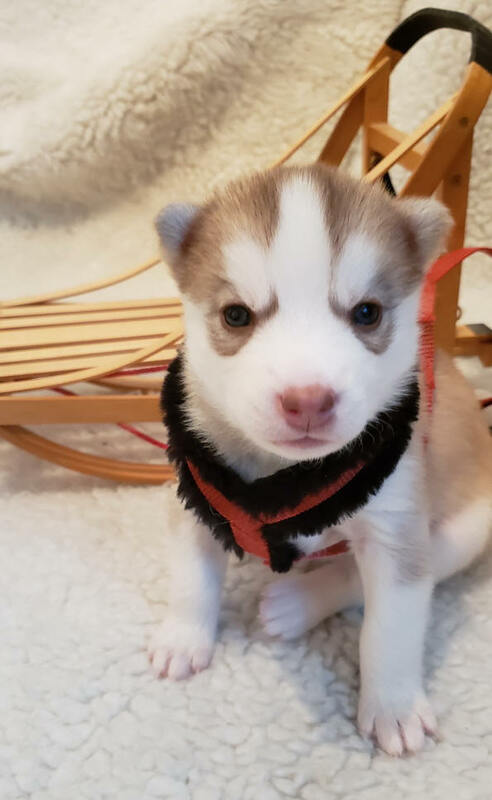 We typically Do Not Have "black & white, blue-eyed" puppies. If this is your only interest, please wait and e-mail. specifically see one available on our web site. We do not breed for Eye Color Or Coat Color. 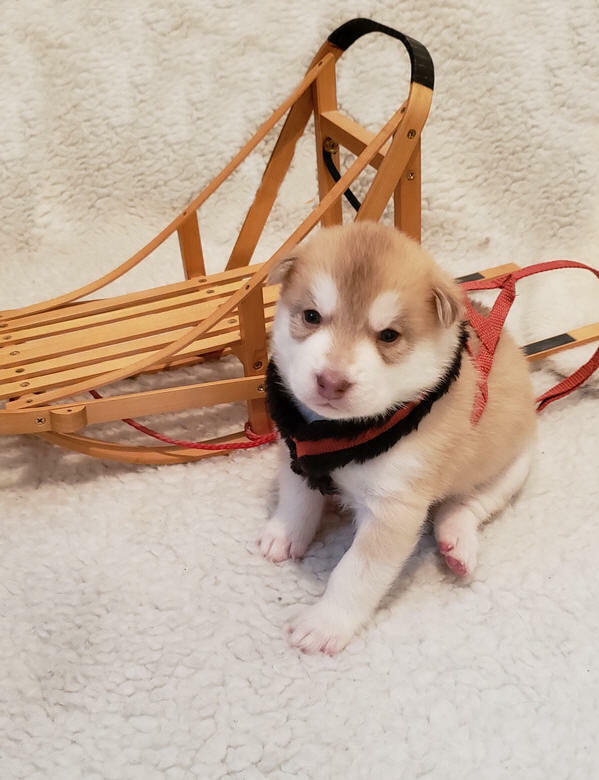 We will try to accommodate your wishes, but if there is a puppy for your reservation You, then you must choose to take that puppy or forfeit your deposit. 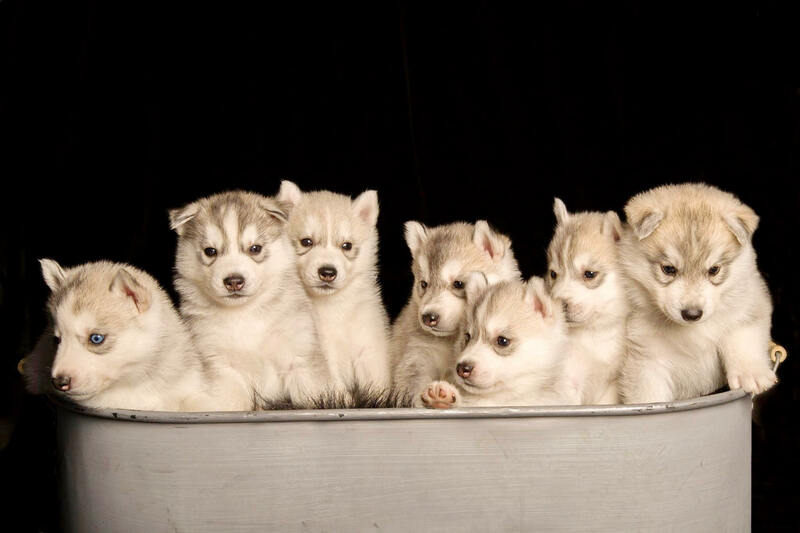 Puppies leave at 8 weeks of age. All puppies are sold on a Non-Breeding Agreement basis which protects both the puppy and does not compromise the bloodlines. 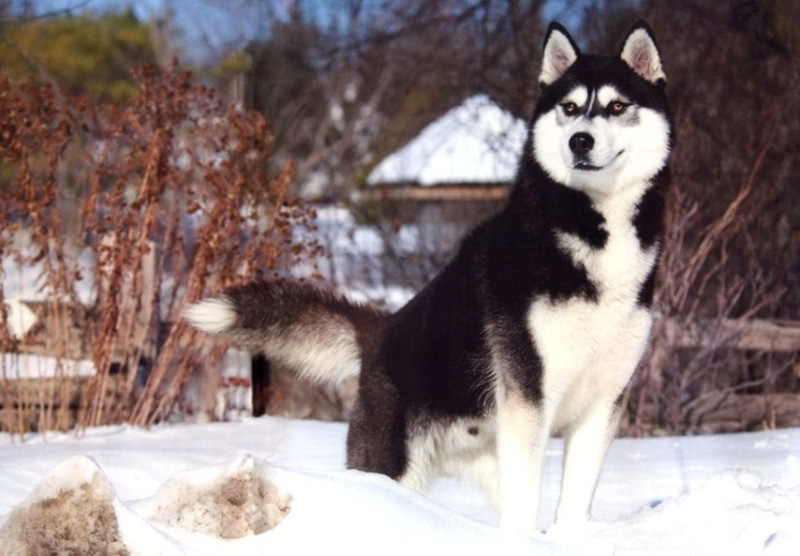 The Non-Breeding Agreement is in accordance with the Canadian Kennel Club rules which prohibits the use of our Siberian Husky for breeding unless other arrangements have been made. We are a breeder of superb quantity and excellent temperaments. 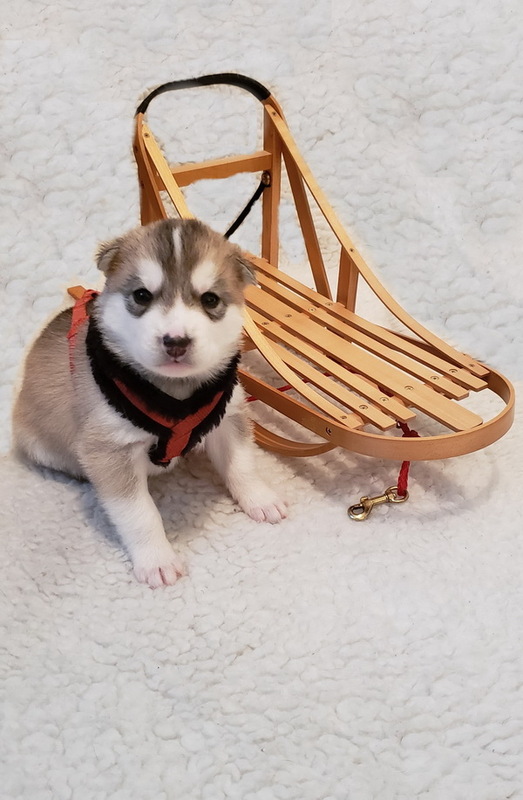 All of our puppies are carefully hand raised until they go to their respective new homes. If you reserve a puppy and then decide not to proceed with the purchase your deposit will be forfeited. 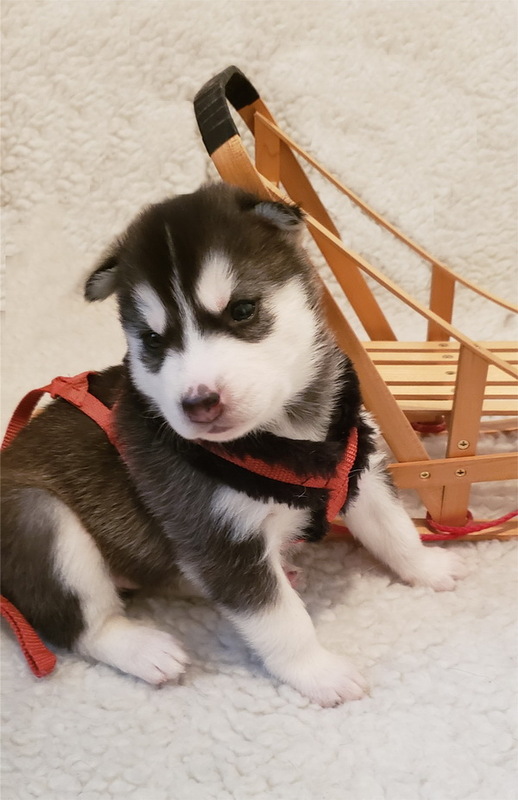 In the event that you have a pup and change your mind about the commitment there will be no refund if you have had the puppy from the time of purchase/taking possession. The puppy comes back and In the event that a puppy is not available from the litter you have selected we will then apply your deposit to the next available litter.